It was almost Ninth when Sorchal ambled along the covered walk at the side of the practice yard, his coat over his shoulder and his shirt untucked. Gair turned from first position and propped his sword point-down in the dust in front of him, leaning on the pommel. This was the third time this week the Elethrainian had let him down. ‘Good afternoon,’ he said dryly. Grinning, Sorchal swept him a florid bow. ‘Good morrow, sir Knight! Goddess’s blessings to you on this fine morning.’ He staggered as he straightened up, which rather spoiled the effect. ‘Ah, yes, about that.’ This time Sorchal looked genuinely contrite, ducking his head and scrubbing his fingers through his uncombed hair. A shadow of beard on cheeks and chin said he’d been out all night. Once, a turn of phrase like that would have made his ears burn. Now he felt faintly insulted that anyone – even a rake like Sorchal – could imagine he was done with grieving so quickly. At the height of its arc, the coin caught the early-morning light and blazed, bright as a fire-eagle’s crown. Squinting against the sky, Gair tracked it as it tumbled towards him. Twenty-four days, nineteen hours and thirty-some minutes. It wasn’t precise; it didn’t need to be. He no longer counted them as days lost – he had the rest of his life to count those – but as days elapsed until he could exact his revenge. No other measure made sense. A slave-trader had left his sigil on the nape of Aysha’s neck: a tattoo of a crescent moon with stars between the horns. Just ink, she’d said, but he’d thought of it like a cattle-brand and loathed the idea of a man marking her as property. That someone kept a stable of women and hired them out by the hour or the night was only a little different. A woman wasn’t what he needed. Not by a mile. 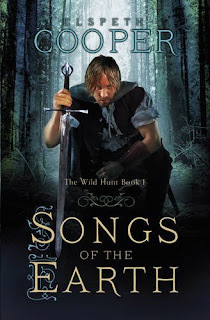 Gair flexed his hands on the grip of the longsword, already dark with his sweat from two hours’ practice at the solo forms, and imagined swinging the blade hard at a gaudy silk shirt. Sorchal would never understand. He changed girls the way other men changed their shirts, and the funny thing was, they seemed to like it. They ate out of his hand like cage-birds, and fluttered and sighed when he moved on without ever a harsh word spoken. He behaved appallingly, and they loved him for it. He walked away. Before he was out of the yard complex he was whistling a jaunty tune, something with the rhythm of a dance to it that said his evening had comprised more than merely drinking and wenching, and for a moment Gair wondered if an hour in the hop-scented fug of the Red Dragon would be such an ordeal. Maybe not – but maybe next week, or the week after. Not today. Standing still had allowed his muscles to cool; he worked his shoulders to loosen them, tossing the sword from hand to hand as he walked to the midline of the yard and set himself to begin the forms again. A figure moved in the shadows of the eastern walk. Even shading his eyes he couldn’t make out who it was after the glare of the morning sun, but it had the height and breadth of a man. ‘Sorchal was only trying to help, you know.’ It was Alderan. He hadn’t seen much of the Guardian over the past few weeks. A few words in a corridor, a nod from across the refectory. A little distance had suited him, and still did – it was one less distraction from the task at hand. Gair gripped the earth with his toes and focused on his breathing, slowly bringing the longsword up in salute. Balance. Breathe. Feel the tension drain from the muscles, relaxed but ready. ‘Arlin was never a friend of mine.’ And begin. Step by step, feint becoming lunge, a high guard becoming a sweep of steel like a striking falcon, then back and away, turning, blocking, dancing through the forms against an invisible opponent with only the gasp and sigh of air over blade for accompaniment. He felt Alderan watching him, tracing each move he made down the yard, but inside his perfect sphere of concentration the old man’s scrutiny ran off him like rain off a windowpane. Like the sweat down the channel of his spine as the sun warmed the day and his longsword flew. Down the yard and back again, his feet scuffling on the earth. Faster now, more fluid; he didn’t feel the fabric of his whites tugging at his legs, the growing dampness of sweat around his waist. He was approaching that time-stretching place where hand and wrist and arm moved faster than serpents, faster than thought . . . Then Alderan spoke again and shattered it. Gair watched the blade counting out the other dreams, barely feeling his hand contract and relax, nor the weight of the steel dragging at the muscles of his forearm. The other dreams were the ones that hurt the most and left him sweating tears, with a weight in his chest as if his lungs were made of cold, dark iron. The idea of leaving Aysha behind, even though she was long gone to ash, filled him with something close to panic. Not to be amongst the objects she had touched, not exist in the space they’d shared . . . No. He couldn’t – wouldn’t – do that. As he worked the sword’s point deeper into the earth, fine brown dust dulled the shine on the blade. He’d dulled the edge, too, but nothing a few minutes’ work with an oilstone wouldn’t put right. Gouging the earth was strangely satisfying; it reminded him of poking a stick into the smooth wet sand below Drumcarrick Head on summer evenings, in the hopes of digging up razor-shell clams to bake on the embers of a driftwood fire. The inn in Dremen. Sudden anxiety fluttered inside Gair, thrashing against his ribs. Dismayed, he stared at the dusty ground. If the old man called in that favour, he would have no choice but to go with him. He’d looked to the future, and it ended at Savin’s death. The road unrolled to a corpse; there was nothing beyond it but blackness, as if the significance of it was so enormous that it blotted out all light from a world beyond that point. Alderan reached out to him, perhaps intending a sympathetic touch, but Gair shied from the contact as if it would sting. ‘I’ve got things to do,’ he said and scooped up his sword, slinging the baldric over his shoulder. Three days, then we embark on a colossal waste of time. But he’d given his word, damn it. He couldn’t take it back now. 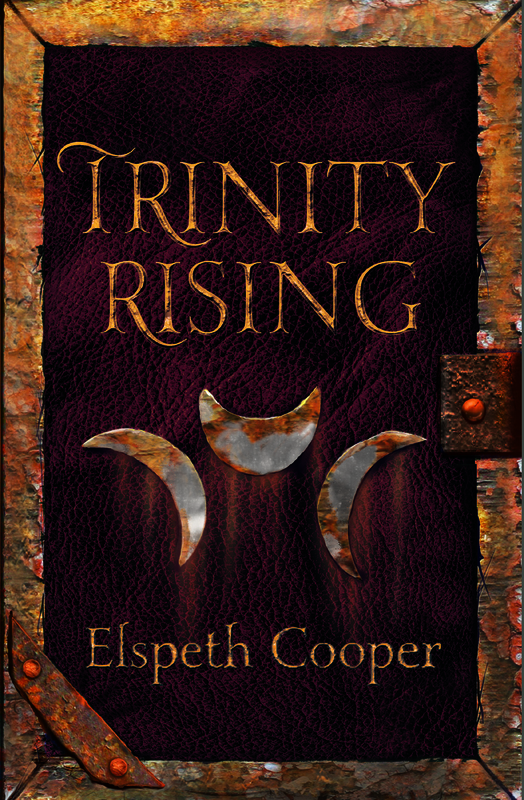 Excerpt from Trinity Rising. Reproduced with permission of the author and Gollancz. The giveaway is open worldwide. Two winners will receive one signed Gollancz hardcover edition of Songs of the Earth. You must be 18 years of age or older to participate. Void where prohibited by law. Giveaway rules are subject to change. To enter the giveaway, e-mail me at staffersmusings@gmail.com, with the subject SONGS and declare intention to participate. There will be 2 winners who will receive 1 book each. 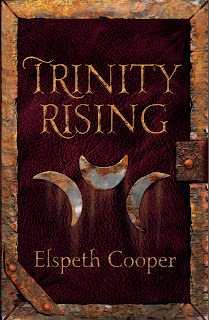 I hope that's not the final cover art for TRINITY RISING. It's terrible. It looks like amateur art you'd see on a self-published, print on demand book. The cover of SONGS OF THE EARTH is amazing. The sequel should have a similar look so potential reader will know it's a series. I much prefer TRINITY to SONGS, stylistically, but completely agree with you on the second point. They should have consistent looks. I'll be interested to see what the US cover looks like.